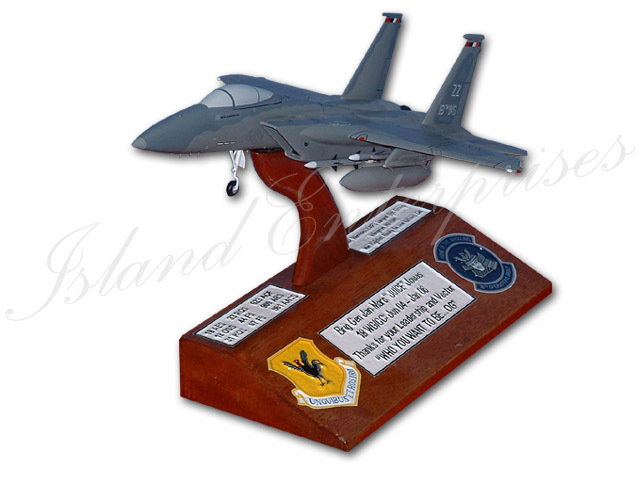 This is one of our standard F-15C Models on a customized base. This was a special going away gift for the 18th Wing Commander a couple of years ago. The person presenting this requested the nose gear down, since the Wing CC had a history had nose gear problems on his jet. Customized this model with your choice of paint scheme and markings, weapons load out, and even gear down, if you like. You can also customize the base any way you want it.